While multivitamins don't take the place of healthy eating and exercise, they can help ensure that you are getting adequate amounts of all essential nutrients, particularly by filling in the gaps left by finicky eating, medications or excess exercise. Taking a high-quality, daily multivitamin and mineral supplement is part of a healthy lifestyle. 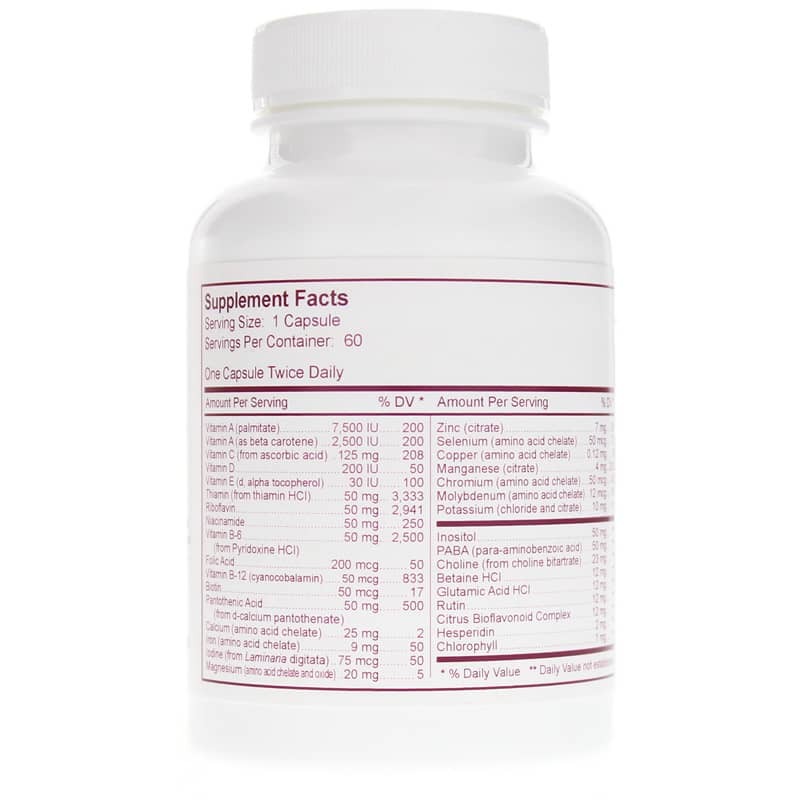 Dynamic Nutritional Associates offers a natural supplement called Mega 1 Daily that contains essential vitamins and minerals for optimal health support. 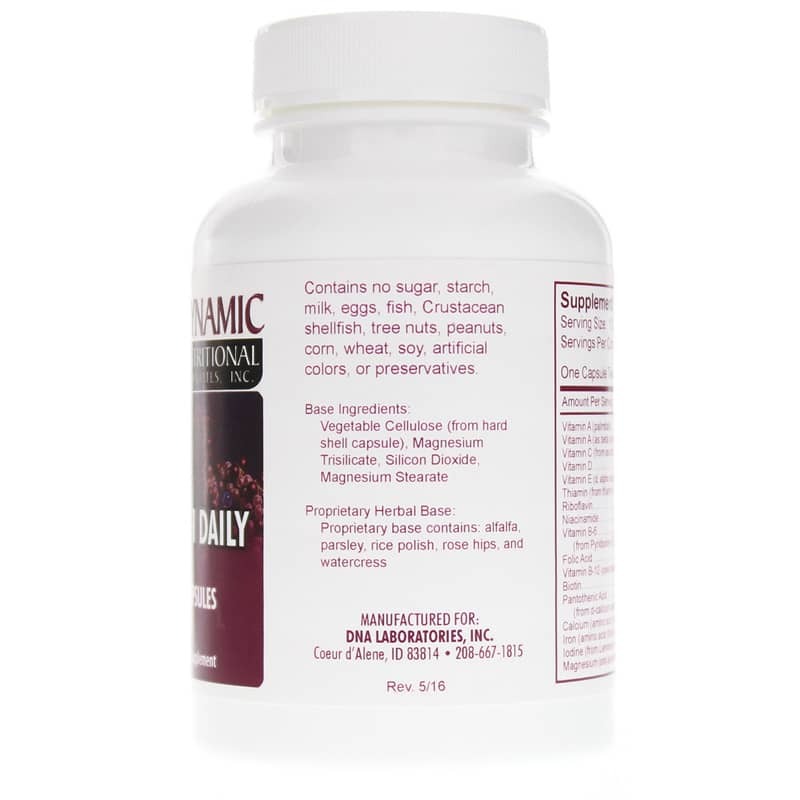 This supplement contains many vitamins and minerals that are at or over 100% of the recommended daily value, including vitamins A, B6, B12, C and E, thiamin, riboflavin and pantothenic acid. 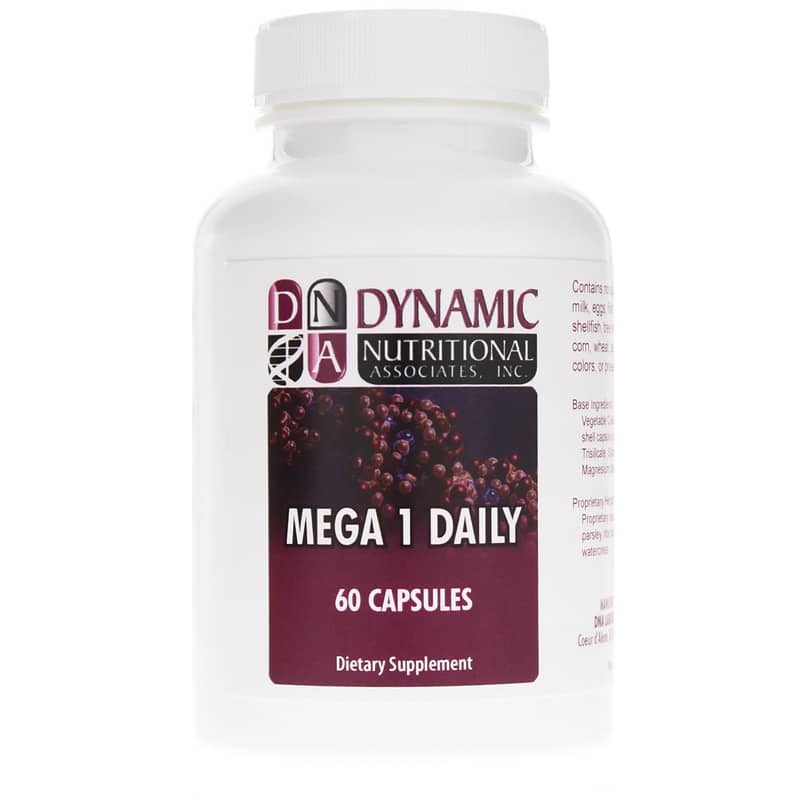 If you're looking for a natural multivitamin supplement that supports optimal health, check into Dynamic Nutritional Associates' Mega 1 Daily. Order online today! Base Ingredients: vegetable cellulose (from hard shell capsule), magnesium trisilicate, silicon dioxide and magnesium stearate. Proprietary Herbal Base: alfalfa, parsley, rice polish, rose hips and watercress. Contains NO: sugar, starch, milk, eggs, fish, crustacean shellfish, tree nuts, peanuts, corn, wheat, soy, artificial colors or preservatives. Adults: One capsule twice daily or as directed by your healthcare practitioner. Great product. I have used them for years now and I won't trust any other product. Natural Healthy Concepts is one of the most amazing companies. They went way above and beyond to make me a happy customer. They are AMAZING! Wonderful product. We have used them for years. We went off them just to see if they actually worked, and they did! Natural Healthy Concepts is an exceptional company. They will do what it takes to make the customer happy! It is the way to go! Thanks! Wonderful product. We have used these for years. Went off them to see if they really made a difference, and they did! We love this product. Natural Healthy Concepts is the most wonderful online vendor! We are THRILLED with their company. They go out of their way to provide exceptional service and quality. Way to go!! !